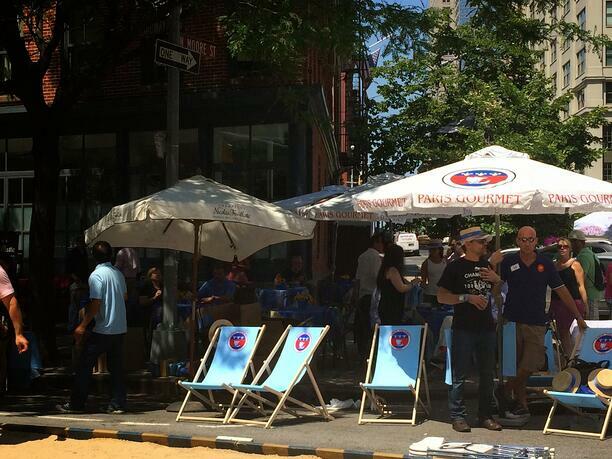 See You Sunday at Speed Rack! 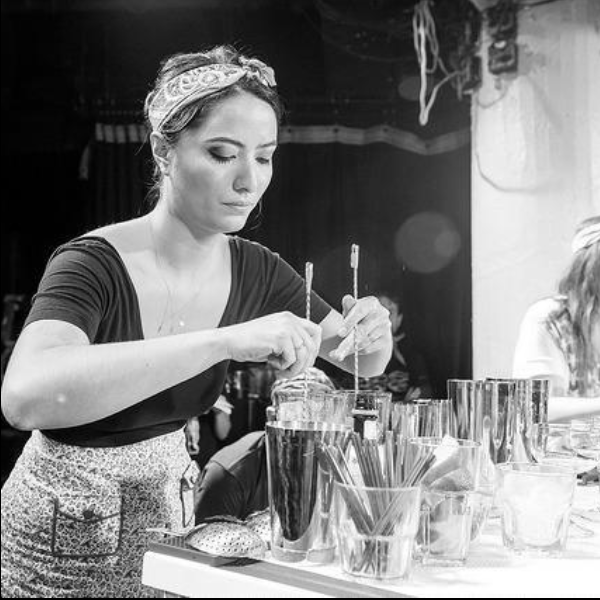 In honor of the day, we asked noted mixologist Jen Gordon for a "riff' on the classic cocktail. Try and enjoy! Measure and add all ingredients to a Boston Shaker with ice. Shake well. 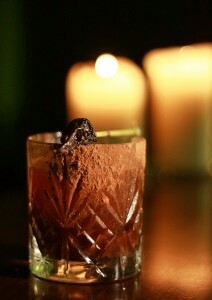 Strain and pour into a rocks glass rimmed with Maldon Smoked Sea Salt and fill with fresh ice. 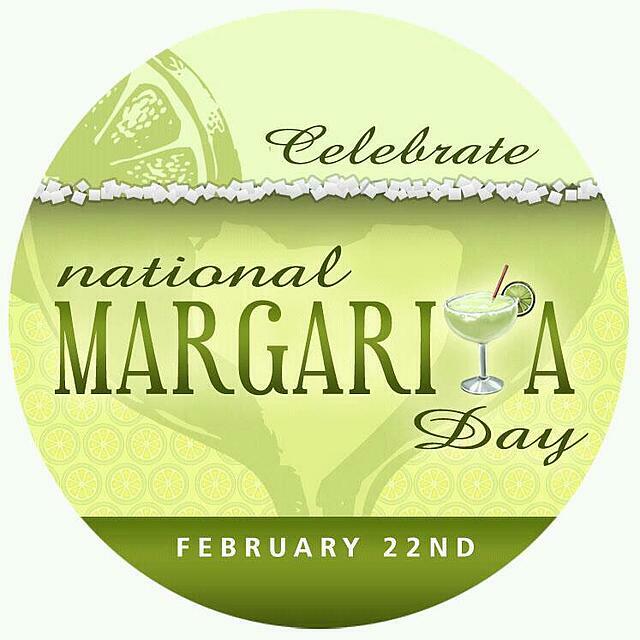 Celebrate. 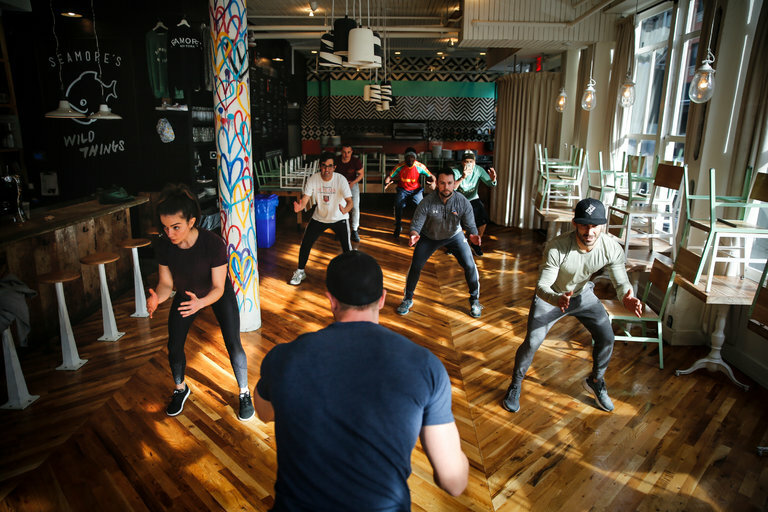 The New York Times shared the story today of foodservice work places incorporating healthy physical exercise into their weekly routines. A shiny finish catches the attention of most diners. Our eyes are drawn to the brilliant shine and deep color of a well made glaze or nappage. 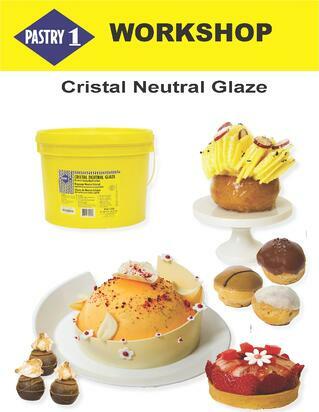 The technical team at Paris Gourmet receives a steady stream of requests for recipes for soft glazes, coulis, and fillings. In response, our team has developed these recipes for great finished that are easy to produce, work every time, and give the perfect shine and texture to complete your creations. Most important- brilliant shine that protects your products! 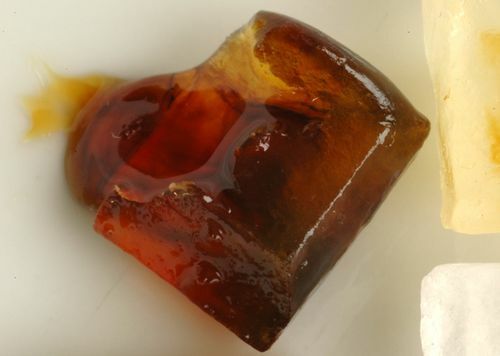 An X-ray study carried out at DESY (Deutsches Elektronen-Synchrotron, a Research Centre of the Helmholtz Association) will help to improve the quality of chocolate. 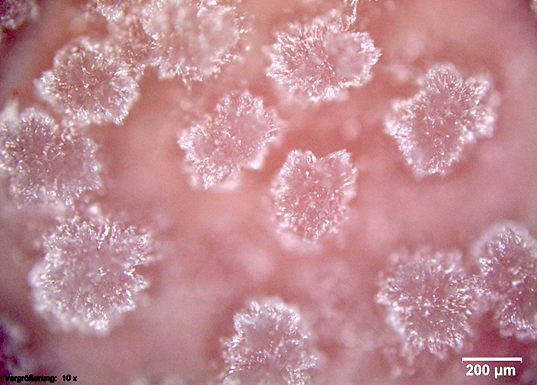 The study offers new insights into the formation of fat bloom, an unwelcome white layer that occasionally forms on chocolate. “Although fat blooming is perfectly harmless, it causes millions in damage to the food industry as a result of rejects and customer complaints,” explains the main author of the study, Svenja Reinke, from the Hamburg University of Technology (TUHH). 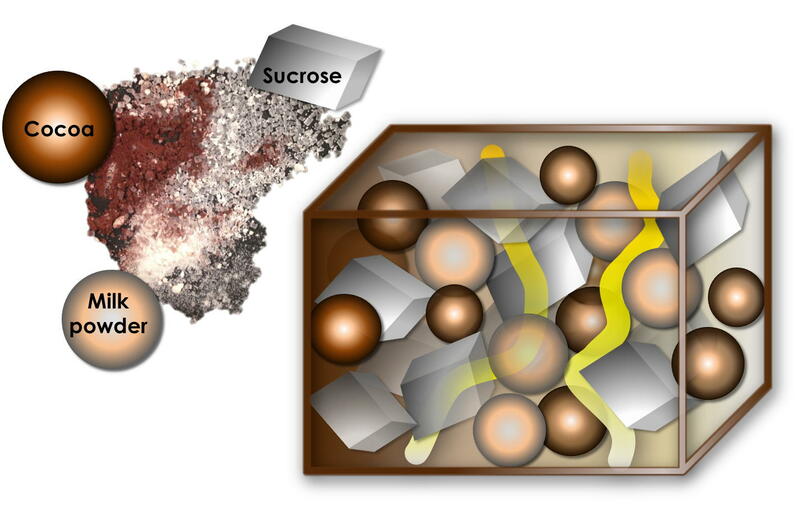 “Despite this well known quality issue, comparatively little has been known until now about its root causes.” The team from TUHH, DESY and the food company Nestlé presents its findings in the journal Applied Materials and Interfaces published by the American Chemical Society. See photos from pastry technician Mario Bacherini's Summer Desserts Class, held at the Paris Gourmet Education Center on June 25th. 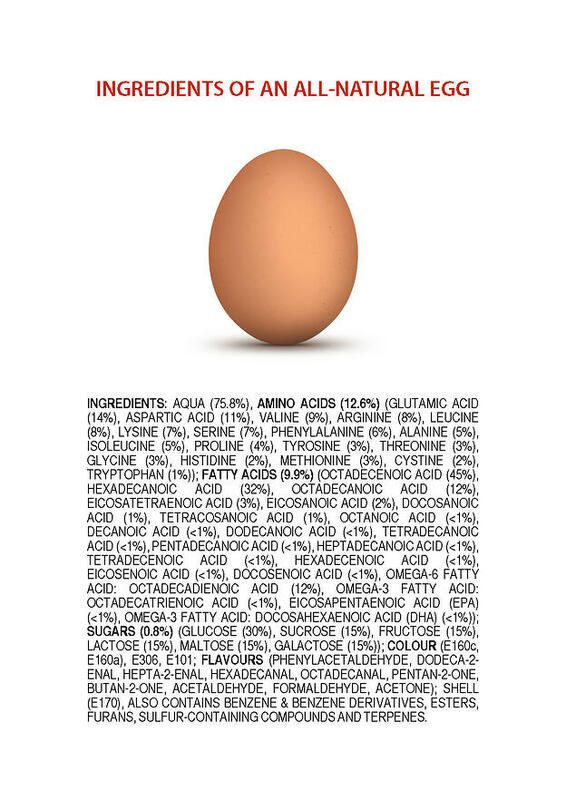 James Kennedy: About these posters: As a Chemistry teacher, I want to erode the fear that many people have of “chemicals”, and demonstrate that nature evolves compounds, mechanisms and structures far more complicated and unpredictable than anything we can produce in the lab. 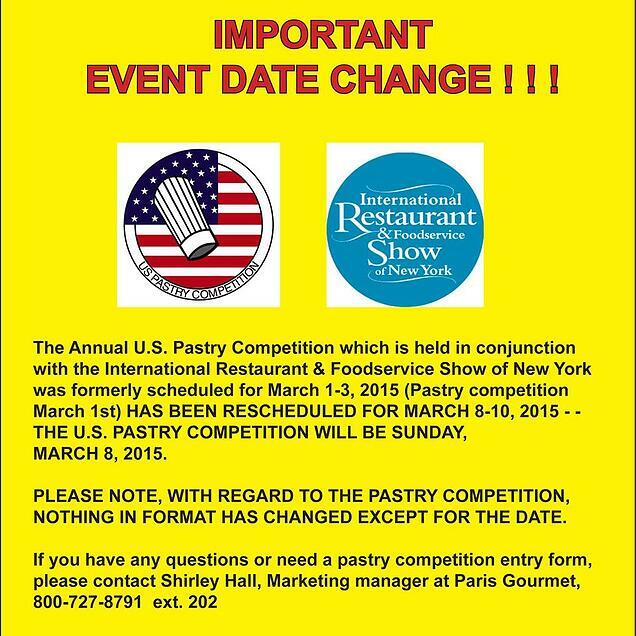 Please see inportant information regarding the 2015 edition of the United States Pastry Competition below. 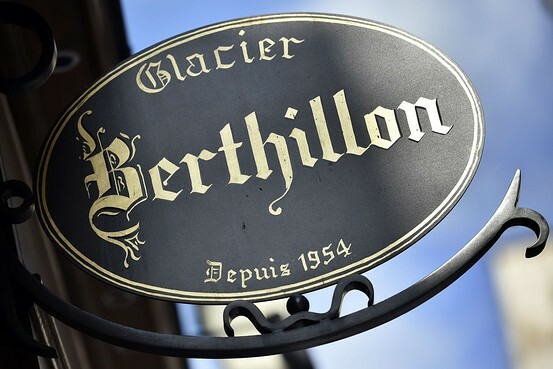 The Wall Street Journal discusses the life and passing of Raymond Berthillon, owner and operator of the famed Parisian ice cream shop. 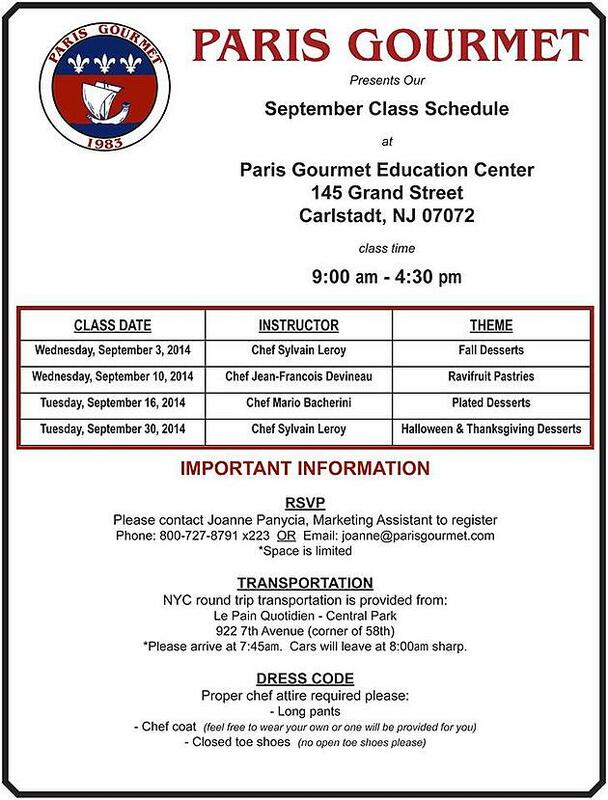 Paris Gourmet is proud to continue our free education courses for professionals. Corporate Pastry Chef Sylvain Leroy will teach the first class, Fall Desserts, on Wednesday September 3rd 2014, sponsored by Cacao Noel couverture de chocolat. Jean-Francois Devineau of Kerry Ravifruit follows on Wednesday September 10th. 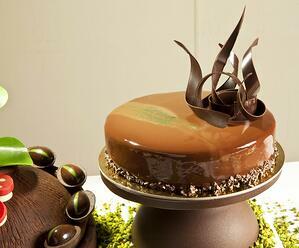 Plated Desserts by chef technician Mario Bacherini will be held on Tuesday September 16th. Please join us for great training, professional networking, new ideas and techniques, all in a positive, modern, and fun atmosphere.